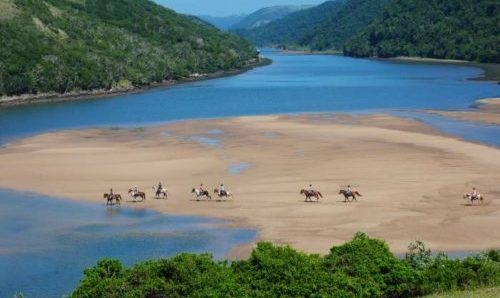 Stay in two very special locations; one, a charming lodge – Old Camp Ursula – which overlooks a vlei often visited by large herds of with game, and two, the spectacular Gorges Lodge, which boasts dramatic views of the 800ft gorge below and offers sighting of black eagles, and the rare taita falcon. Night game drives, bush dinners under the stars, walking safaris, rhino searching, gorge scaling and relaxing by the pool are arranged for the afternoons and will perfectly compliment your riding holiday. This 4-day horse safari is the perfect accompaniment to a trip to see one of the Seven Natural Wonders of the World – Victoria Falls, and will undoubtedly make for an unforgettable adventure. Riding Level Strong intermediate to advanced. Although the nature of the terrain regulates the pace in many areas, there are areas with big game so clients should be confident at all paces, and capable of riding a horse at a strong canter through rough country if necessary. Weight limit: 85kg in your riding clothes. Victoria Falls, discovered by David Livingstone, is the world’s largest waterfall and is located on the Zambezi River at the border of Zambia and Zimbabwe. Commonly known as Mosi-oa-Tunya – ‘the smoke that thunders’, the spectacular waterfall boasts the largest sheet of free-falling water with an 108m drop to the gorge floor. 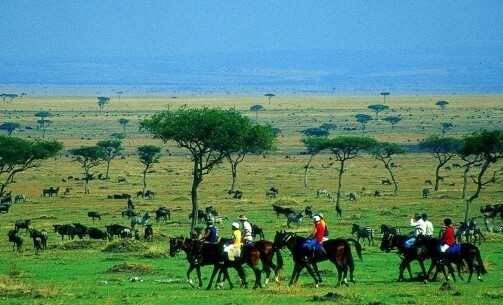 The areas that you will ride across run adjacent to the Zambezi as you skirt the Victoria Falls National Park. The two national parks are not fenced and therefore wildlife roams freely through these areas, making for some excellent game viewing. The landscapes vary from think bush to craggy hills and grassy plains, and there is some excellent riding terrain. The plant, bird, human and wild life in these areas and private game reserves is greatly diverse. Please note this is a sample itinerary; weather conditions and game movement patterns may cause the route and plan to vary. This will always be in your best interest and to their advantage. There will be no extra charge. Day 1: Waking up to the dawn chorus of an African morning, you will be collected from your lodge between 06:00 and 07:00 and transferred to the stables. Over tea, coffee, fresh fruit and biscuits, you will have a safety briefing and horses will be allocated according to abilities and preferences. 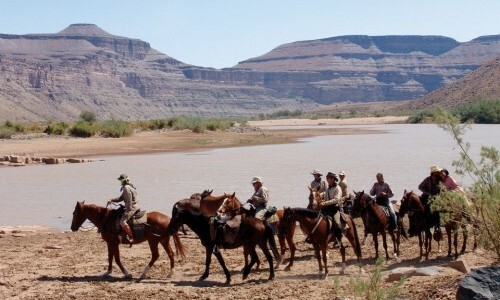 Once you're mounted up and orientation is finished, you set off with your guides for the start of your adventure. 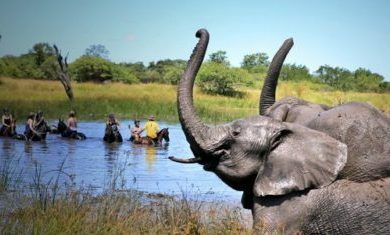 The stable is situated on the edge of the Victoria Falls National Park and therefore your ride will normally begin with tracking last night’s elephant tracks. Your guides will impress with their abilities to read the tracks, and excitement builds as you head off through the vegetation to see what you can spot. 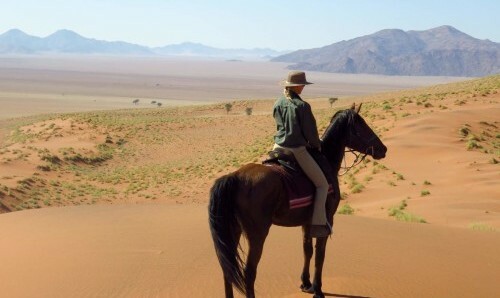 Wind your way across the African wilderness, following animal tracks that have passed through - the areas surrounding the Zambezi River and Victoria Falls National Park are not fenced and therefore make excellent riding country with wildlife roaming alongside. Lunch is served on the banks of the Zambezi, or on the Masuie river under the shade of acacia albidas, depending on the time of the year. Lunch over, mount up and traverse the long Kalahari sand dunes which border the Zambezi National Park, and keep your eyes peeled for sable and buffalo as you head to camp Ursula. Arrive in the afternoon, leaving time for a swim, watching game on the Vlei in front of camp and freshen up before the evening’s activities. This evening, take a night game drive to spot game seldom seen by day. The drive is followed by a bush dinner, taken under the stars, in this wonderful private game reserve – a night to remember. 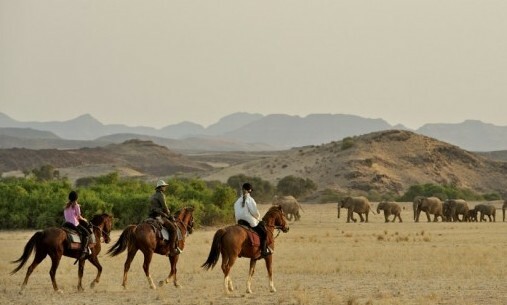 Day 2: Ride out after a delicious breakfast at Ursula, and head for the Kalisosa, looking for giraffe, zebra and sable as you explore the area. 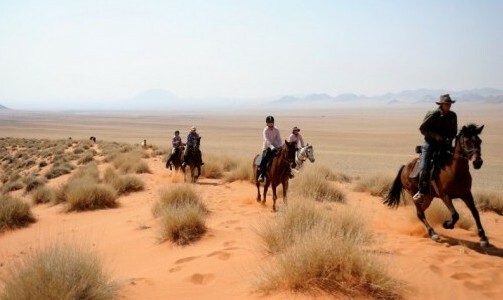 Heading for the river crossing, you will ride across a sand escarpment, providing magnificent panoramic views across the landscape before you reach the vast plains on the other side. Return to Old Ursula Camp for lunch and an hour or two of relaxation before you spend the afternoon on a rhino search, birding drive or game drive, or a walking safari in the cooler months of the dry season. Day 3: After breakfast, ride out for Gorges Lodge – situated at the top of an 800ft cliff, the lodge is part of a community based project, and is the perfect spot to watch black eagles, and the rare taita falcon soaring below. 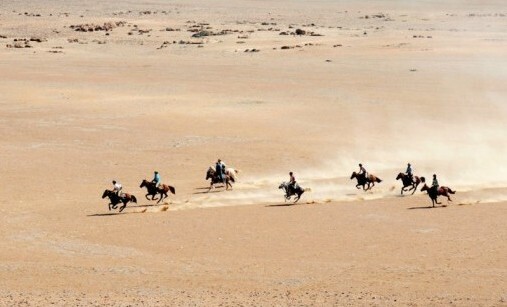 This morning, you'll ride through beautiful landscapes with lovely sand tracks and wide grassy areas, which are calling out for long canters and faster riding. Traverse rugged hills with stunning views and open vleis bordered by magnificent Feyherbia albida and dotted with Hyphenae petersiana (vegetable ivory palms). These areas are seldom accessed by cars, are home to lots of cattle and boast impressive bird life - rural life at its best. Once you have been welcomed at Gorges Lodge, the more energetic will have the opportunity to climb down the gorge for dramatic scenery (this may not be possible during the rainy season). Alternatively spend the afternoon in the gardens and grounds watching the fabulous resident black eagles. 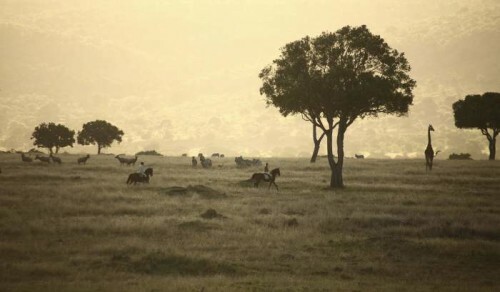 Day 4: Rising with the sun you will head out to meet the horses and ride back to the Zambezi and surrounding game areas. Lunch will be taken on the banks of the iconic Zambezi River before you head back through beautiful scenery, keeping an eye out for game. After returning to your starting point and being welcomed by a cold drink, you will bid a sad farewell to your faithful steed and guides, before being transferred back to your hotel. Note: All the above items are an intrinsic part of the trip and may not be exchanged for other activities. 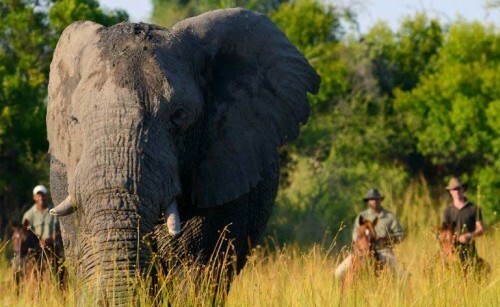 Old Ursula Camp is situated on The Victoria Falls Private Game Reserve, 6 000-acres of private land. It is furnished in the classic ‘Old Africa’ style, with crisp white linens and the feeling of a beautifully finished luxury home. The reserve is adjacent to the Zambezi National Park and therefore is home to a large number of game, including black rhino – the only reserve in Victoria Falls to offer rhino viewing, a very special experience. Staying at Ursula includes a night game drive and bush dinner so you can appreciate these wonderful creatures in their natural habitats. The camp overlooks a private vlei and is set in beautiful indigenous gardens, shaded by magnificent Feydherbia Albida trees. There is also a swimming pool. You will stay in 4 classic A-frame thatch chalets with an en-suite bathroom, including a bath and shower, air conditioning and each with views of the waterhole. Gorges Lodge is set in a spectacular location, at the top of an 800ft gorge, within private land south-east of Victoria Falls – between rapids 19 and 20 on the Zambezi River. The lodge is built from natural stone with an earthy finish and boasts views over the river 250 meters below. The beautifully kept gardens make an idyllic setting and are filled with indigenous plants, particularly aloes and acacias. Your accommodation will be a stone, thatched chalet with en suite bathroom, situated on the edge of the gorge and overlooking the river. A large dining room is connected to the lounge and bar area, which leads out to a swimming pool – which also boasts great views.